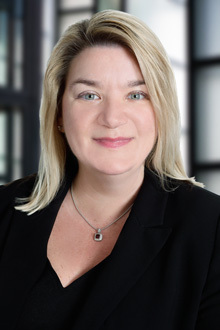 Deborah Smith is a partner in the San Francisco office of Lewis Brisbois and is a member of the Asbestos Litigation and Toxic Tort & Environmental Litigation Practices. Deborah has more than 20 years of experience successfully defending clients in mediation, arbitration and trial. Deborah has handled hundreds of cases from beginning to end and has first chaired a number of cases through jury selection, opening statement and to a defense verdict. Her primary focus areas are complex product liability, personal injury defense, labor and employment, maritime and business litigation. Deborah defends companies against claims for injuries from exposures to tobacco smoke, asbestos, silica, benzene and other environmental or chemical exposures. She also represents major manufacturing companies, contractors, suppliers, oil companies, premises owners, and businesses in maritime, aviation, aerospace, hospitality, and international shipping industries. Deborah creates, manages, and executes all aspects of key defense strategies and prepares clients and experts for depositions and trial testimony. She has taken hundreds of plaintiff and expert depositions and has obtained favorable rulings on complex and innovative dispositive motions. Deborah has managed active dockets of cases for clients and appeared in court in California and numerous other jurisdictions across the U.S. Deborah’s keen skills are often called upon to negotiate case resolution with national plaintiff law firms. Before joining Lewis Brisbois, Deborah served as national and local counsel in complex product liability, toxic tort and other litigation matters in high-profile, high-stakes litigation. Following law school, she clerked for the Honorable Ortrie D. Smith of the United States District Court for the Western District of Missouri. After working for more than five years at a large national law firm in Kansas City, she relocated to San Francisco, where she lives with her wife and three children.